In AGM batteries, the electrolyte (mixture of water and sulphuric acid) is largely absorbed in glass fibre. 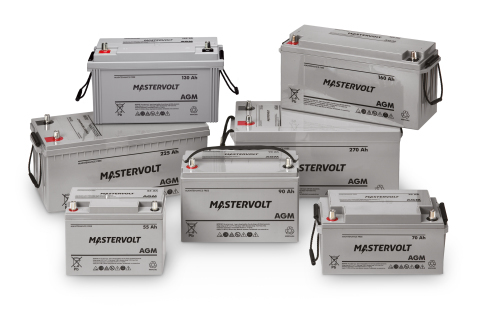 This type of battery is entirely maintenance-free and there is no gas formation with normal use. 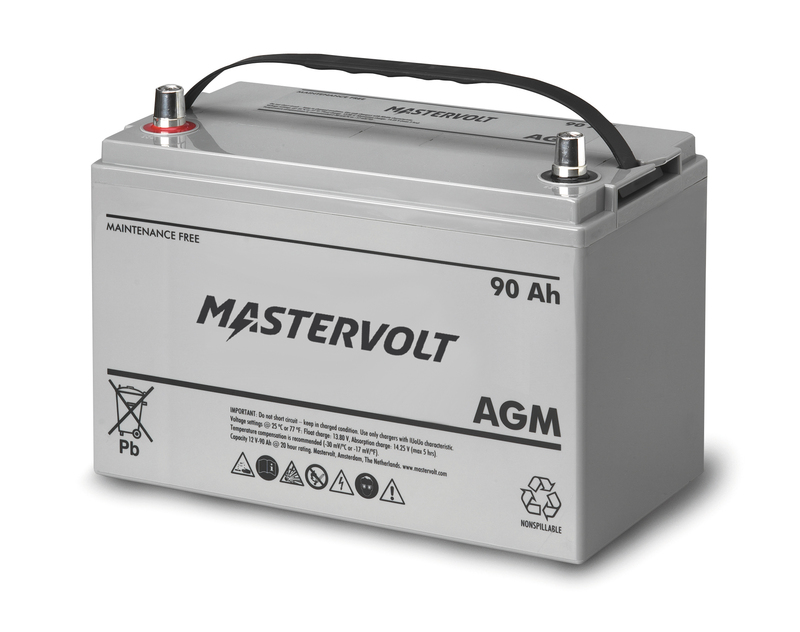 Not requiring any ventilation, AGM batteries can be installed anywhere. Their construction gives a very fast discharge at very high currents so AGM batteries are ideal for systems that require high currents (for instance when starting an engine). 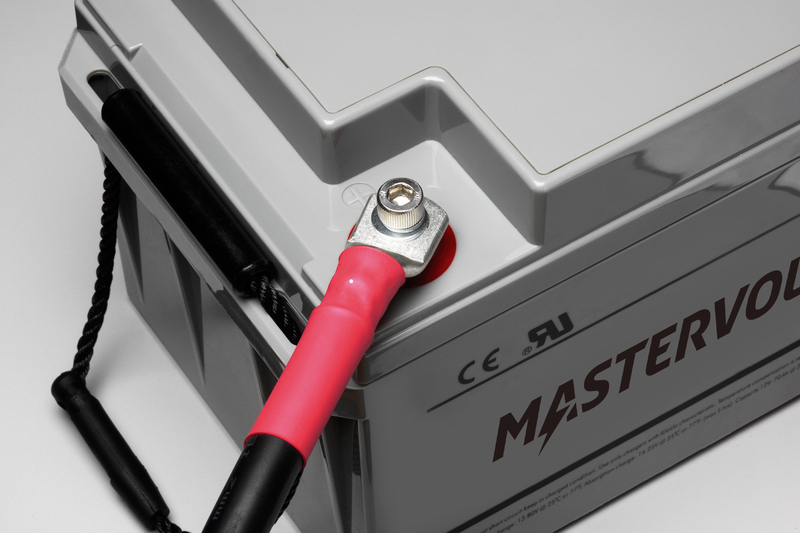 The battery poles can be unscrewed and this type of battery can be combined with every standard battery terminal. 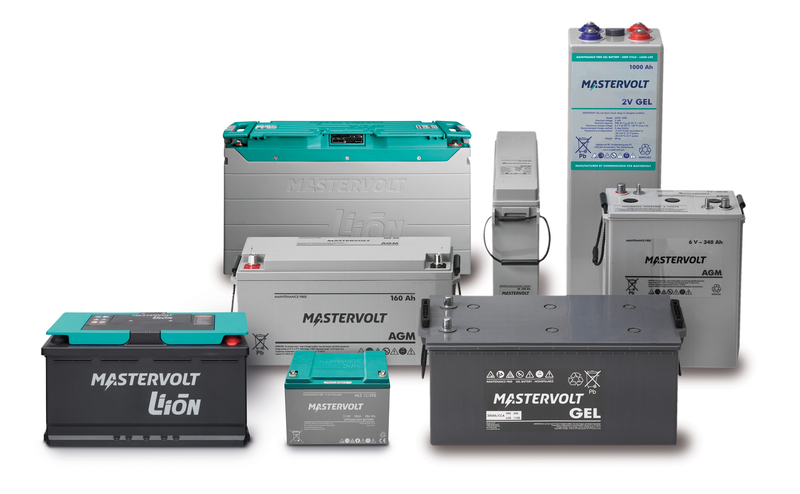 Perfect upgrade for flooded lead acid batteries. 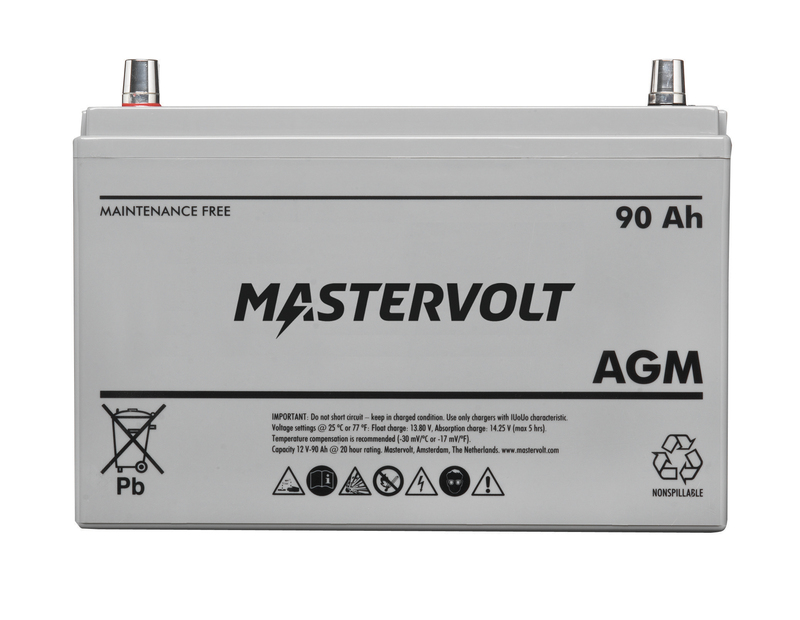 Same initial power surge in an AGM 12/90 Ah as 180 Ah flooded lead-acid battery. Glass-fibre technology ensures low internal resistance. Use of thicker plates extends lifespan. 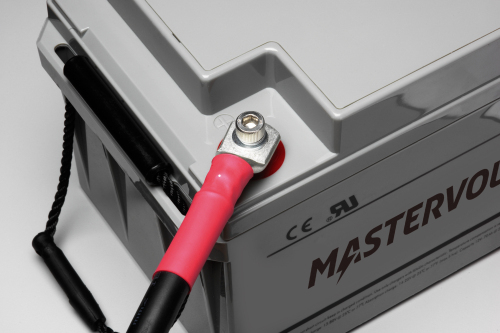 Can be combined with every standard battery terminal. Also for medium cyclical use.